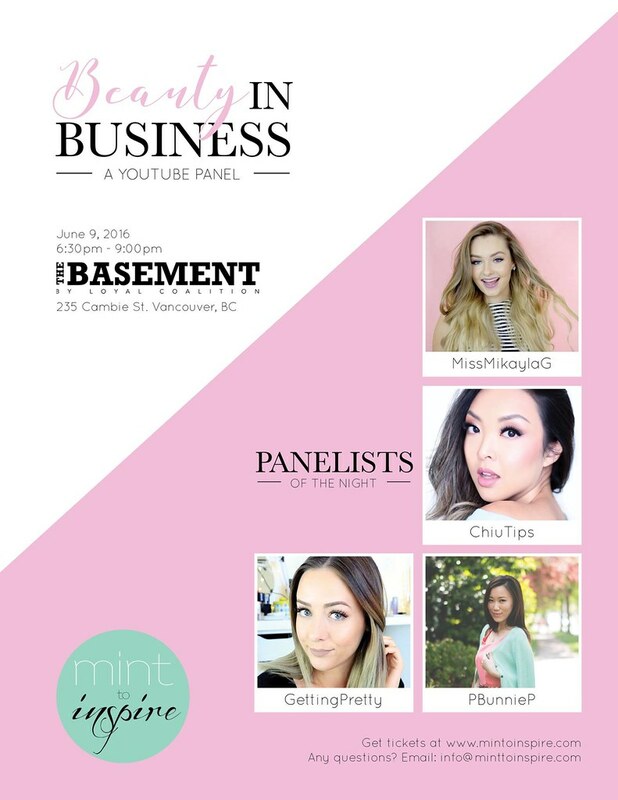 TheBunnieHole | Vancouver Youtuber & Blogger: Beauty in Business (Vancouver) | Meet me at the Speaker's Panel! Beauty in Business (Vancouver) | Meet me at the Speaker's Panel! Happy Sunday lovely people! I'm just popping in quick to let you know about the Beauty in Business Event hosted by Mint to Inspire which will go down this Thursday June 9th right here in Vancouver. I'll be there as part of the Youtube speaker's panel to answer your questions about how to start a blog, video production and life as a beauty vlogger. If you're in town and interested in learning more about all this, please come and join me! All the fine details can be found here.